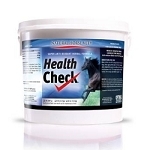 Health Check helps maintain your horse’s immune system using super potent antioxidants. 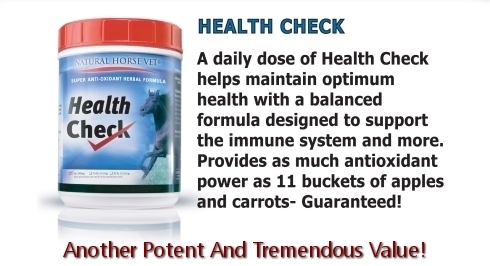 Similar to a person getting their daily servings of fruits and vegetables, Health check provides the antioxidants your horse needs to maintain optimal health. Ascorbic Acid, Beta Carotene, Citrus Bioflavinoids, Deglycyrrhized Licorice Powder, DL-Methionine, Garlic Powder, Ginko Biloba, Dried Ground Grape & Seed Pomace*, Grape Seed Extract, L-Lysine, Maltodextrin, N-acetyl-L-cysteine, Pine Bark Extract, Selenium Yeast Culture, Siberian Ginseng, Vitamin E Supplement, Yeast Culture. 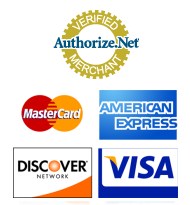 "You won’t find a better product anywhere, much less at our valued price!"